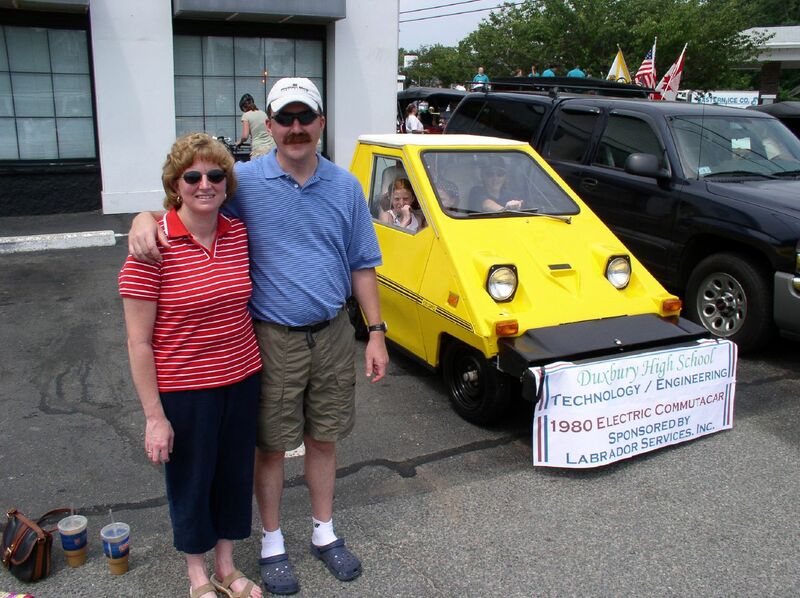 Matt and Beth Conway discuss the project of their son Chad to restore a 1980 Commutacar Electric Car. They spoke after Chad drove in the 4th of July Parade. The car had a new battery pack, and this drive was the furthest it had been. Several thousand people watched the parade. The car drove the length of the parade route without a problem. The put put boat is a steam powered boat. In this use, they are hand made from either baking pan aluminum or flashing. The boiler is made by cutting and flattening a soda can, folding it, then epoxying in two straws. Hand cut put Put boat. Here, we use a hand saw to make the cuts for the put put boat. Be careful not to lose the cut off pieces. Pre drill your holes before screwing into the little pieces. 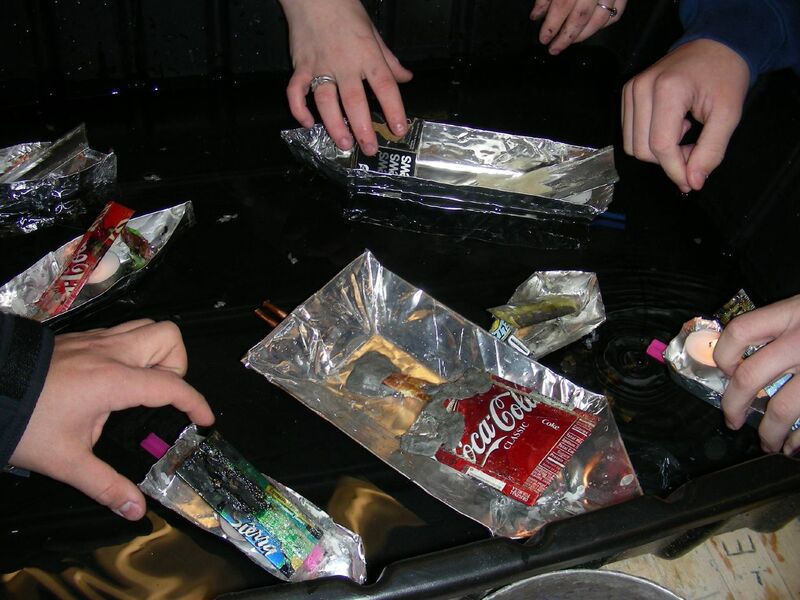 When you make your hull, you can use either baking pan aluminum, which is pretty soft and malleable or you can use aluminum flashing. Baking pan stock can be cut with scissors, but flashing needs to be cut with snips. Be very careful with the sharp aluminum.